We are extremely fortunate to have such a special opportunity to make a contribution to world peace. International Centers are Kadampa Meditation Centers (KMCs) and International Retreat Centers (IRCs). These centers organize many courses and retreats throughout the year including International Festivals, National Festivals, and National Dharma Celebrations. 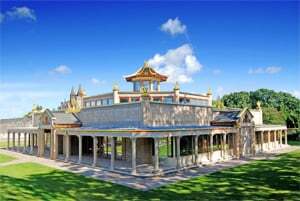 All the profits from courses and retreats at International Centers support the International Temples Project, so by attending these events you are engaging in meaningful activities and supporting the development of Kadampa Temples around the world. There is always work to do at the KMCs and IRCs and very often they offer opportunities for working visits, where you receive seven days free board in exchange for five days voluntary work. You also have the opportunity to attend classes at the center while you are there. Sometimes there are opportunities to work directly on Temples, and at other times the work involves projects that support the Temples. Either way, this is an extremely beneficial and meaningful way to spend your free time. Information on working visits can be found on the individual KMC and IRC websites. If you wish to make a one-time or recurring donation to the International Temples Fund, you can do so at any time. There are a number of International Temples Fund accounts at various centers around the world making it possible for many people to pay locally in their own currency. Because these accounts are all non-profit, there are usually tax concessions either for the donor or for the recipient. 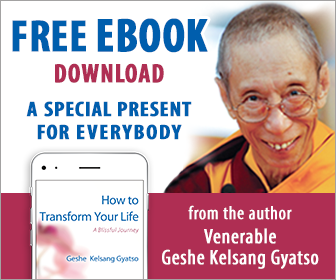 Through Kadampa Temples flourishing throughout the world more and more people will receive the blessings of inner peace, and through inner peace there will come outer peace. May everything we do to help and support the development of these Temples be the cause of lasting world peace in this world for this and all future generations.